Happy Anniversary Flight Crew! What a joy it has been to be a part of this wonderful group of people! My day begins and ends with this amazing site. And some days many times in between. Thank you Piero, Gianluca and Ignazio for being the reason we are all here together!! Well said Jane, I totally agree. I too check the site first thing and during day to keep up with everyone’s news, and the latest about “the boys”. Happy Anniversary to one and all !! Thanks, Jane, for saying just what I also feel….and many thanks to Marie and Kelly for their devotion and dedication to the site. They are what keeps it happening. Kudos!! Congratulations to the Flight Crew Board Members for putting this site together it’s the first site I read each day. You’re an amazing group and I love being a small part of it. Happy Anniversary Flight Crew and many thanks to our Captains Marie and Kelly and all the contributors who work so hard to keep Ilvolovers all over the world informed and happy !! It has been beyond wonderful to be able to come to this site to express my love for our amazing Gianluca,Piero and Ignazio with all of you !!!! It seems hard to believe that the Flight Crew is three years old. Time really does fly when you are having fun! Especially when you are having fun with the crew–and with Ignazio, Piero and Gianluca!!! Ditto I feel honoured to belong to this Flight crew where everything is always up to date & cheerful & so many talented people. Thanks Kelly & Marie for all your hard work there is no other fan club as put together as this one. CONGRATS ! ! ! This has been a great place to come to share with friends and hear the latest of people’s activities. Naturally, it is a great place to keep up with Il Volo. So BRAVO ! to the staff of Flight Crew. Happy Anniversary to Marie and Kelly, and thanks for all your hard work in keeping this blog going. I feel privileged to be part of the Flight Crew. This is a place where I can express my love for our “boys” and not be met with raised eyebrows and rolling eyes (my family). Happy Anniversary Il Volo Flight Crew ! 🙂 I wish you all the best ! Big Big Thanks go to the ladies who all got this organized and off the ground. Especially big thanks to Marie Crider and Kelly Aitich, they are awewsome!! Another big thanks go to all the contributors who keep us all iinformed and entertained with everything that is IL VOLO. We know there is an official fan club nowdays but as far as I am concerned this is the place to be for me! Happy Anniversary to all the Il Volo Flight Crew! Il Volo Flight and Il Volo grew together. The thanks goes to the creators of this site and their hard work daily making it possible for us to keep in touch with each other and the boys. Happy Anniversary! So happy I found you and all the wonderful people on The Flight Crew. 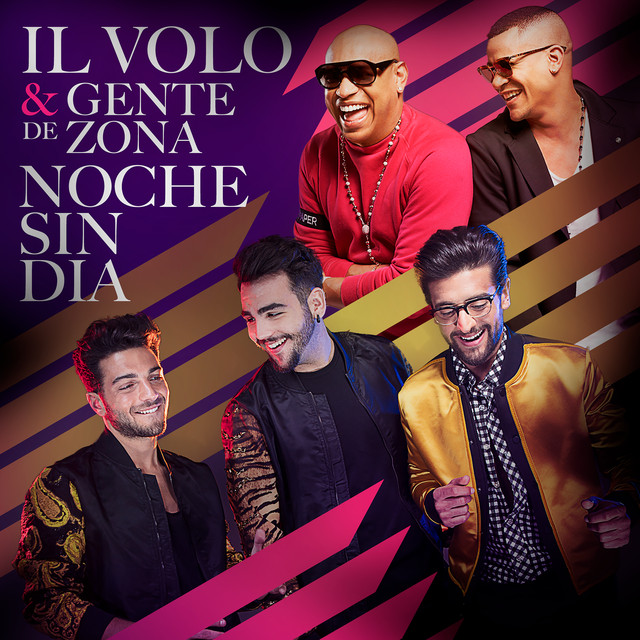 Thanks for all you do to support Il Volo and keeping us up to date with their activities etc. and thanks for all the laughs and smiles! Happy anniversary to all the crew , I have admired since the first day I found you . Thanks for being so nice and full of love. 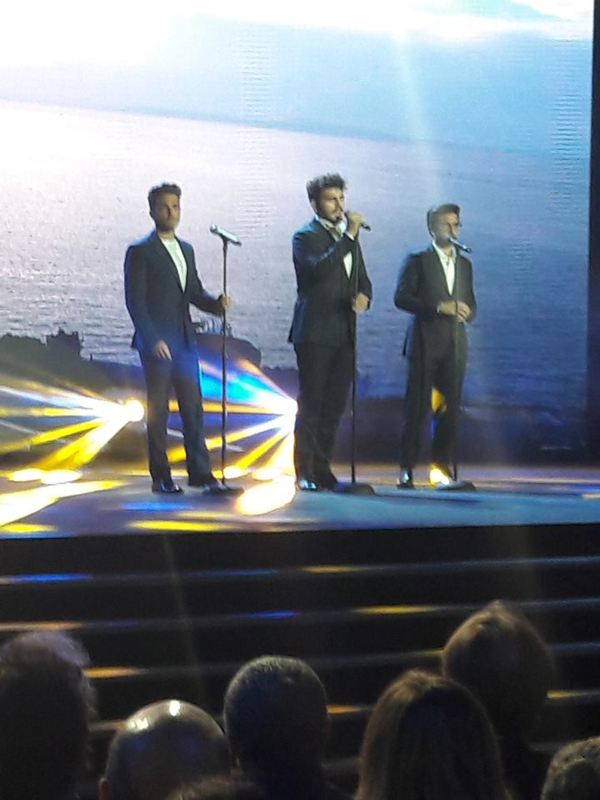 Thanks also to IL VOLO that we have enjoyed . Three years already? This has been a flight of long periods of anticipation interrupted infrequently by sheer joy as we fly together and with our guys! Wow! I never would have dreamed that my “senior years” would be so filled every day by the opening of this fansite and reading and sharing the fun and the love of Il Volo and these wonderful fans! Thank you Marie and Kelly for all that you do. My life, for one, has been changed forever by the guys and this site. IlVolove to you all. To all of my friends on The Flight Crew, the past year has been one heck of a ride, and I have enjoyed every second of it. Thank you to Marie my fellow Buckeye, and the hardworking Kelly. How great to be part of such diversified group but who are all of one mind. We love IL VOLO❤️. It has been such a pleasure sharing all this time with you. Kelly is the greatest to work with! Her internet knowledge and the innner workings of this site far surpass my own. She is wonderful! Of course, everything we do on this website would be nothing without YOU…The Crew! Gianluca, Ignazio and Piero have done here more than they know. you do for Il Volo and the Flight Crew. Adding my thanks and heartiest congratulations to all you wonderful ladies who keep us connected to our favorite Italians!!! Thank you so much for all your time and tremendous efforts! I can only add my simple congratulations and heartfelt thanks for all the work that everyone puts into this site. It really is one of the joys of each day for me. Congratulations to all of Flight Crew!! Thank you for all your hard work keeping us up to date with activities in Il Vololand!!! Love each post !!! I am so glad I can share my love for our precious trio & know you all understand!!! Congratulations to one and all. I found this site over two years ago and it has been the highlight of my everyday routine. I check in at 5:00 am everyday and love reading all the stories about our boys and all the feedback from you wonderful people whom I have grown to know through this site. Thank you Marie and Kelly for all your hard work. It is so appreciated by all of us. It was wonderful meeting so many of you in Las Vegas. By the way people, on Monday, my 3rd great grandson (MARKUS ANTHONY MORRIS) made his entrance into the word weighing in at 8 lbs. 13 oz and 21 inch long. He has two other bros. GERHARDT AND KASIMIR. Thought I’d put a plug in for the loves of my life. Anyway, thank you again to all the Flight Crew members who work tirelessly to keep this site so interesting. BIG CONGRATULATION and thank Marie,Kelly and all contributors !!! I watch IVFC from the beginning,I like an kindly friendly wittycisms,playfully exchange of views among member – a woman.And when I see a witty colage of photos – for example Marie + Igna ( excuse me Marie but it suited you so much ) it always my mood improves! I have met many great people (even if only a distance) and thank you for accepting us from distant Europe. LET HIM BE SUCCESSFUL ALSO IN THE FUTURE TENSE !!! Presepasco – happy grannie – I congratulate on the birth of a grandson Markus. Happy Birthday (a day late LOL) Flight Crew! This is truly such a unique, wonderful sight, and the place I feel I can go to and just mentally ”chill”, and read things from people who have the same love and enthusiasm for my ‘little guys.’ Thank you for all the work you do to keep The Flight Crew so amazing, and for letting people like me share your love for Il Volo! I bless the day God let me find you! Happy Anniversary Il Volo Flight Crew!!!! I have to echo Marie’s sentiment: THANK YOU ALL! You keep us laughing and motivated, and I know for me, even though I might not be seen as much, you all are usually never far from my thoughts. Marie has been huge in keeping the site going. She gets so many e-mails and organizes everything behind the scenes, and is very accommodating with my flying in and out due to my schedule. Thank you so much for that! I also have to thank all of our contributors that have helped take us to the next level. So many different articles and thoughts…it has been a joyful, humbling experience to be a part of this. Thank you for coming everyday, and here’s to another great year!